Tired of being turned down everywhere? 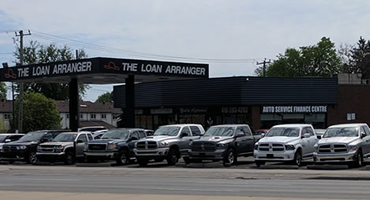 The Loan Arranger was established nearly 30 years ago and now has four locations; Scarborough, Cambridge, Barrie and Oshawa. 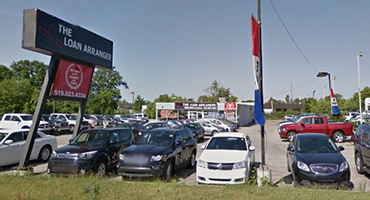 It was established to help people get the financing they need along with the vehicle they want. 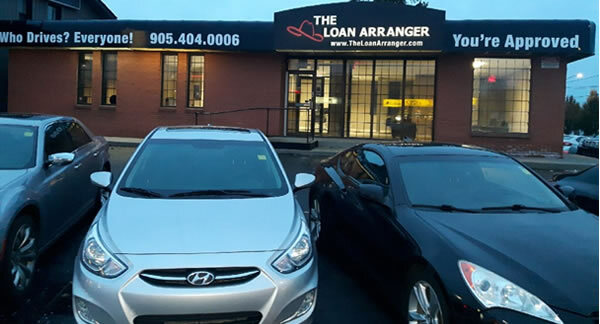 With our experienced in house finance specialists we can help anyone obtain the loan needed for that new or used car, truck, atv, bike, RV. Whether you have Perfect Credit, Bad Credit, Slow, Bankruptcy, Divorce, Collections we can help. 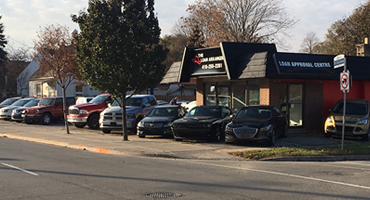 You can come on down and choose from hundreds of used cars and trucks on the spot or you can find your own vehicle and we can arrange the loan for you. We can work out your monthly payments and get you driving away in your new vehicle TODAY !! Applying for a vehicle loan online is one of the quickest and easiest application methods. Our secure online application form is easy to complete, all you need are a few personal and employment details. Get Started Now. Voted Dealer of the Year for 2015 by Dealer Rater and our customers. Your information is secure with the highest level of encryption. Ensuring the privacy and security of our customers is critical to us. We have our own inhouse auto service centre for vehicle repairs and service.